Years ago, Hadass Sheffer had asked herself: “Why is it that so many people start college but never finish? What would it take to get them back into college and ahead in life?” This was basically the genesis for Graduate! Philadelphia. The nonprofit provides free guidance and support to help adults with some college credits go back to college to finish what they started. Eager to take the initiative to the next level and open an outreach center in Center City Philadelphia, they called on Paragraph. 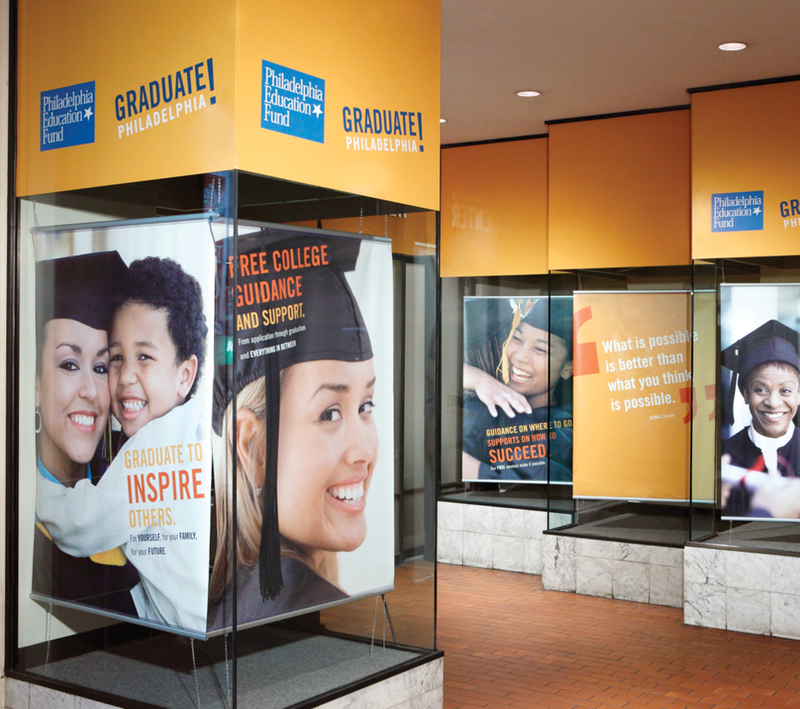 After interviewing adults and partner colleges, we established the visual and verbal brand foundation, designed the center experience, and created a website and web application that communicates Graduate! Philadelphia’s offering, delivers services online, and allows staff and clients to track individual progress and outcomes. Graduate! Philadelphia was just the beginning. Word got out. Organizations came together. And now, Graduate! Philadelphia is the founding member of the Graduate! Network, with groups working to support adults returning to college in Chicago, Memphis, Greensboro, Connecticut, and beyond.